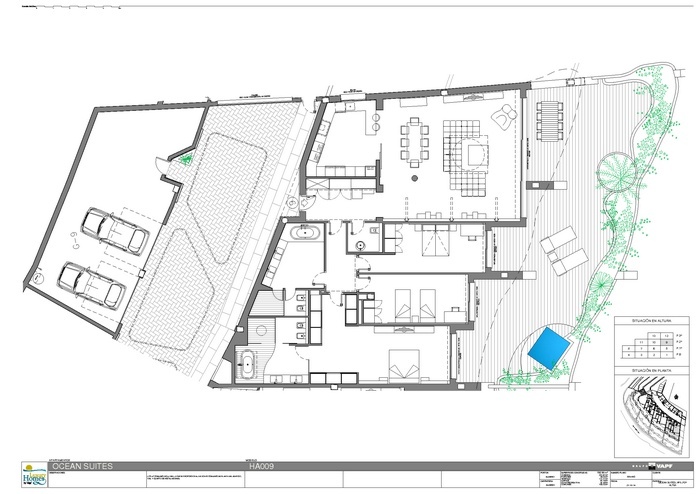 Model APART 09, PLANTA 3, apartment for sale in in Altea, villas with magnificent sea views located next to the Don Cayo Golf Club, near the La Olla beach and the Campomanes Marina, only 8km from the centre of Altea town and next to Altea la Vella village. 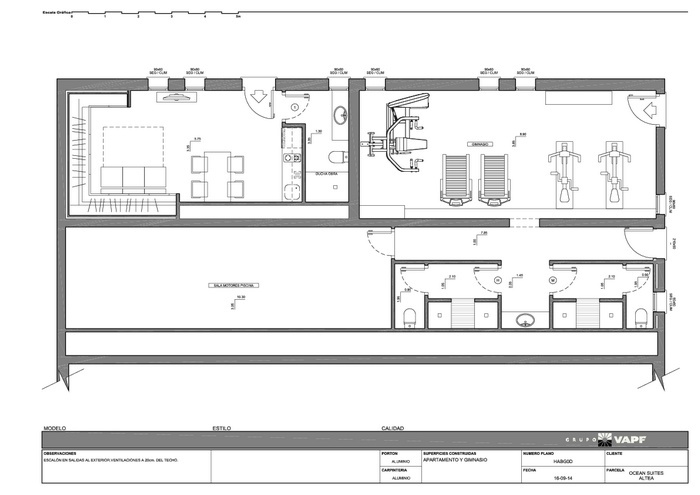 Model APART 09, PLANTA 3, with 3 bedrooms, 3 bathrooms and 579 sqm. 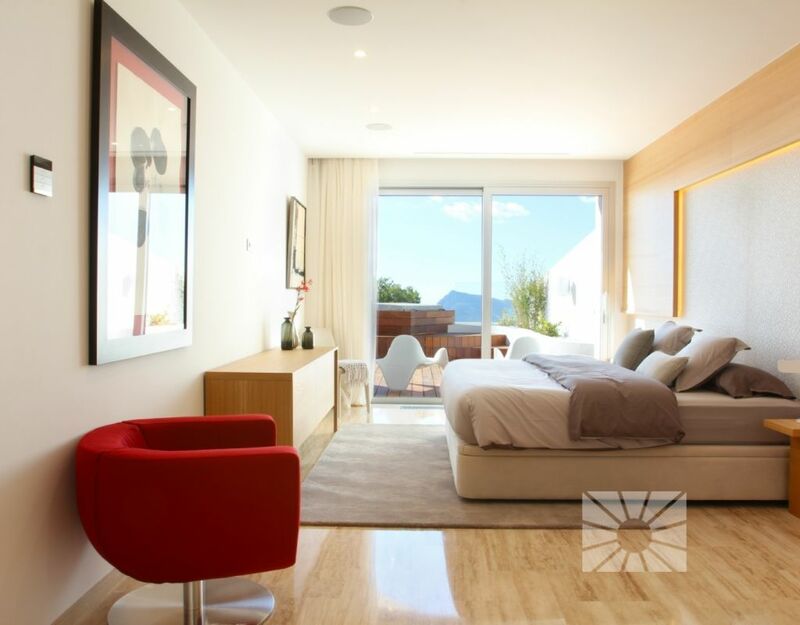 Ocean Suites Altea is a private development of 13 extraordinary luxury apartments with stunning views located in one of the most coveted and privileged areas of the Sierra de Altea. 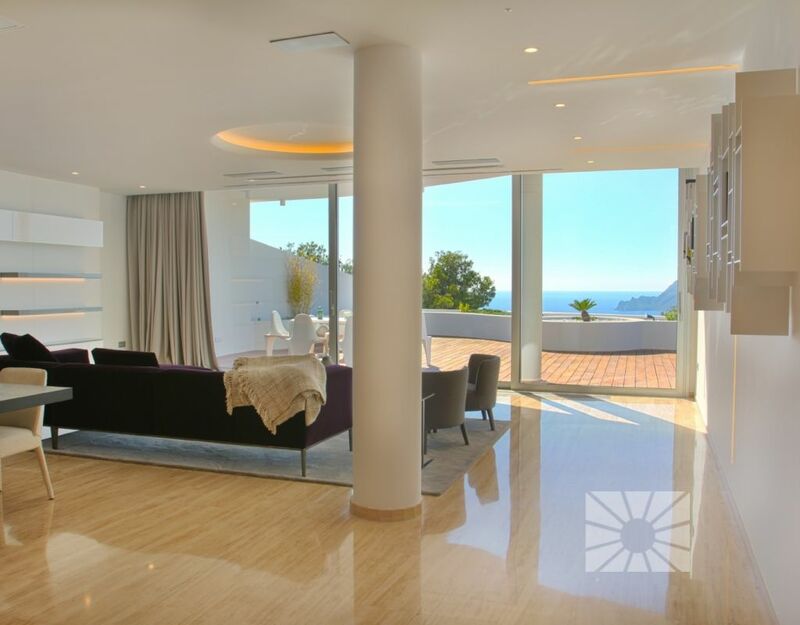 Equipped with spectacular terraces, offering unrivalled panoramic views over the bay of Altea, including the Isle of Altea, Altea La Vella, Benidorm, El Albir, etc. 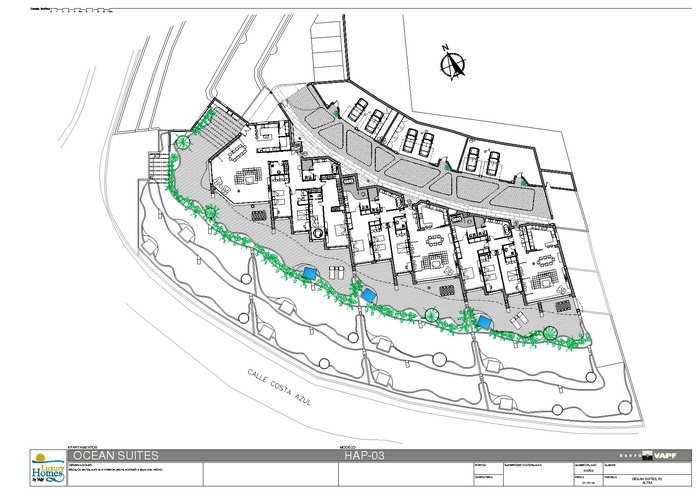 The apartments have a floor area of between 575sqm and 900sqm, with terraces from 120sqm up to 300sqm. 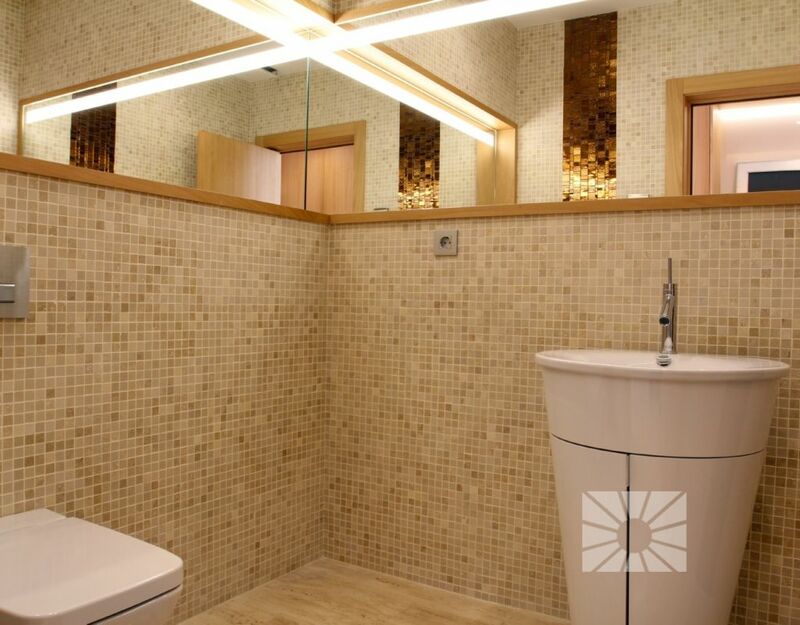 The internal layout, the result of a project undertaken by professional architects and decorators, will make your dreams come true. 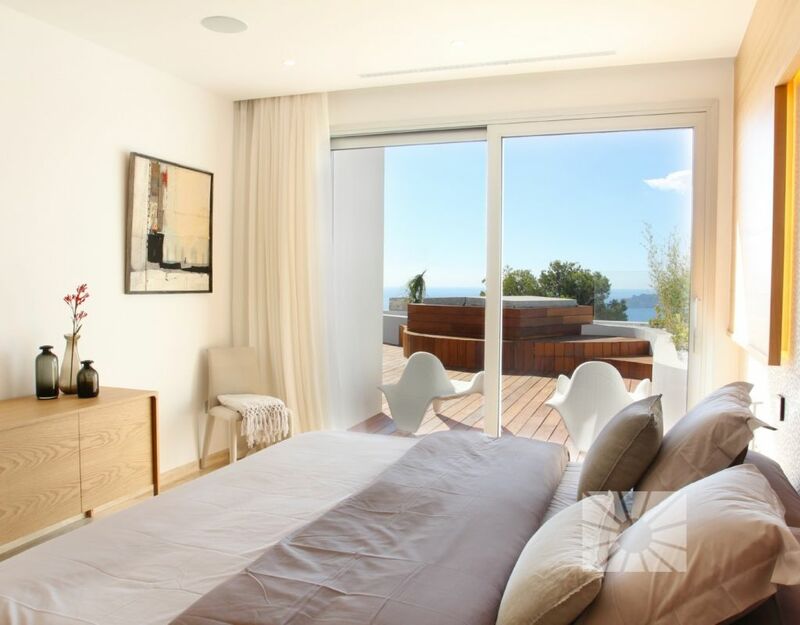 Each property has a total of three bedrooms, equipped with large fully fitted wardrobes, 2 bathrooms and a guest toilet. 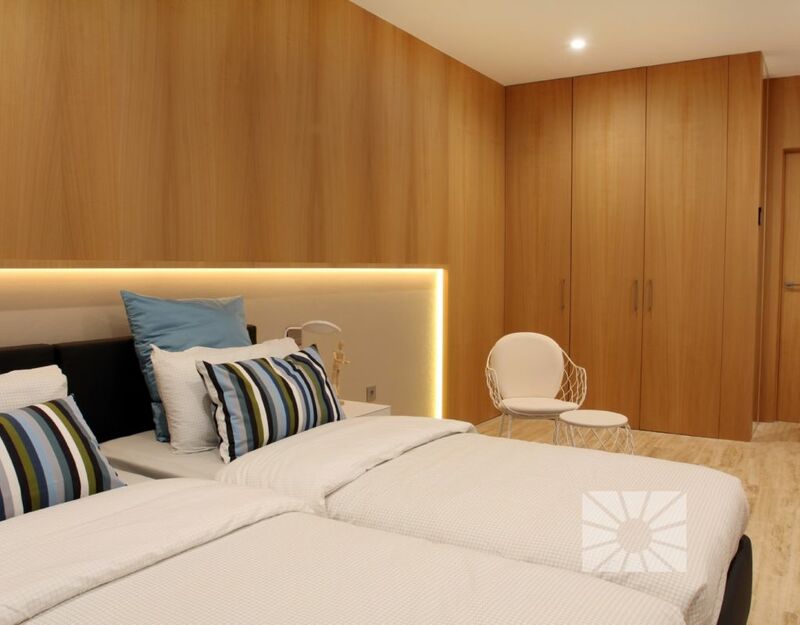 The master bedroom of approximately 51sqm has a large walk-in-wardrobe and a roomy en-suite bathroom, with a shower and free-standing bathtub. 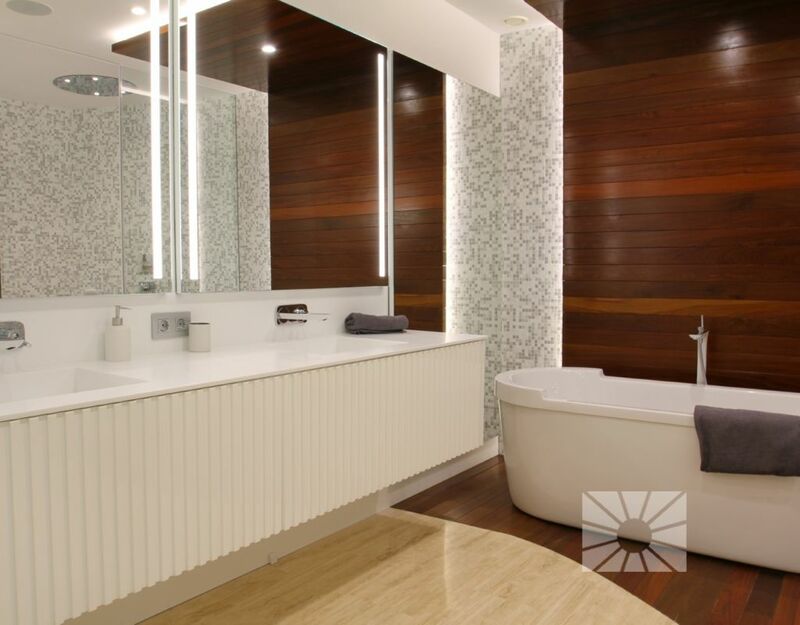 The other 2 bedrooms share a very large bathroom, with a walk-in shower, double washbasins and bathtub. 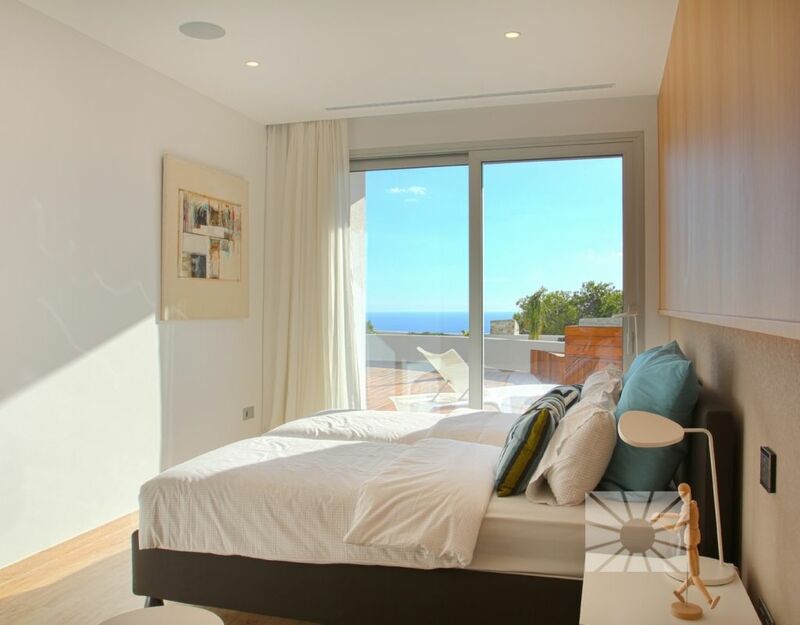 The 3 bedrooms have direct access to the terrace and enjoy fantastic sea views. 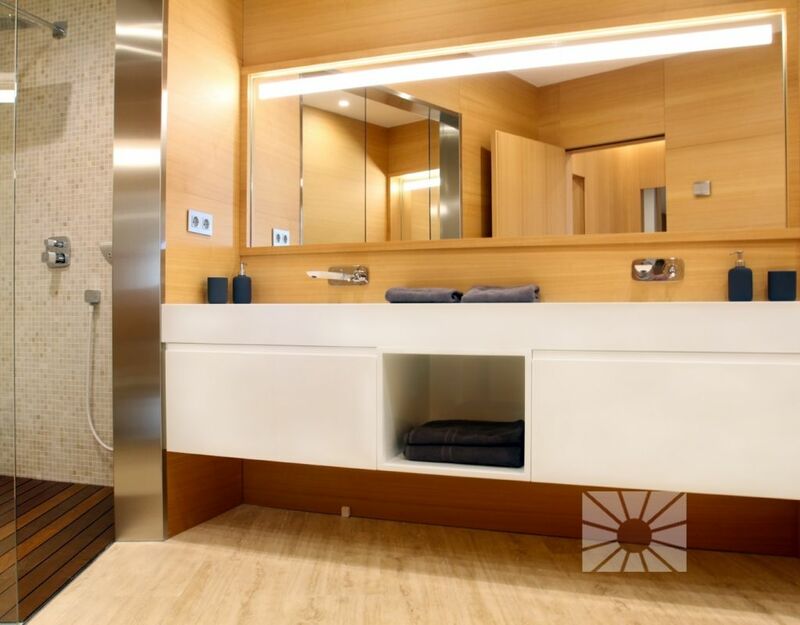 All the bathrooms are equipped with Duravit sanitary ware, Hansgrohe taps, wall tiling from the Italian brand Trend and Corian ® countertops. 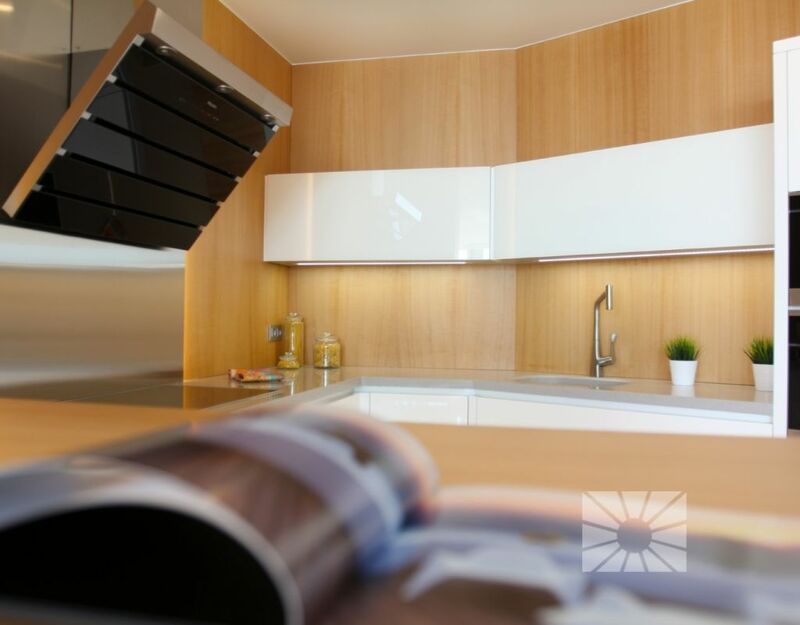 The kitchen is equipped in keeping with the standards and quality of the entire house, with Miele appliances and high gloss lacquered furniture. The main room of the property is certainly the lounge-dining room: an area exceeding 63sqm which houses several different environments, defined by the exquisite lighting, with a screen-projector that transforms the room into a wonderful movie theatre, a bright living room with access to a fantastic terrace of over 53sqm, with a spectacular porch, jacuzzi and fantastic sea views. 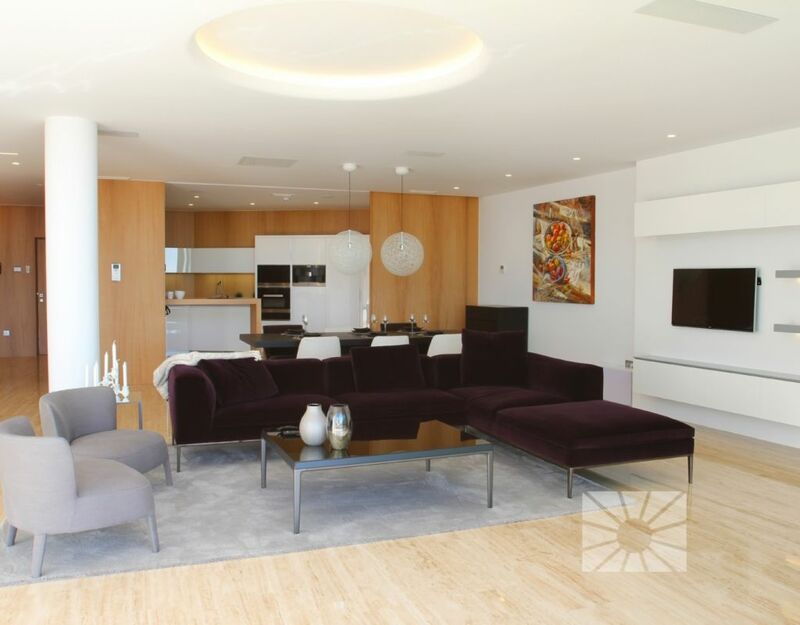 The quality of this exclusive property is present in each and every one of the elements that form part of it: Travertine marble interior flooring, Ipe wood floors on the terrace, KNX home automation system, lighting project, central heating with radiators and air conditioning ducts. 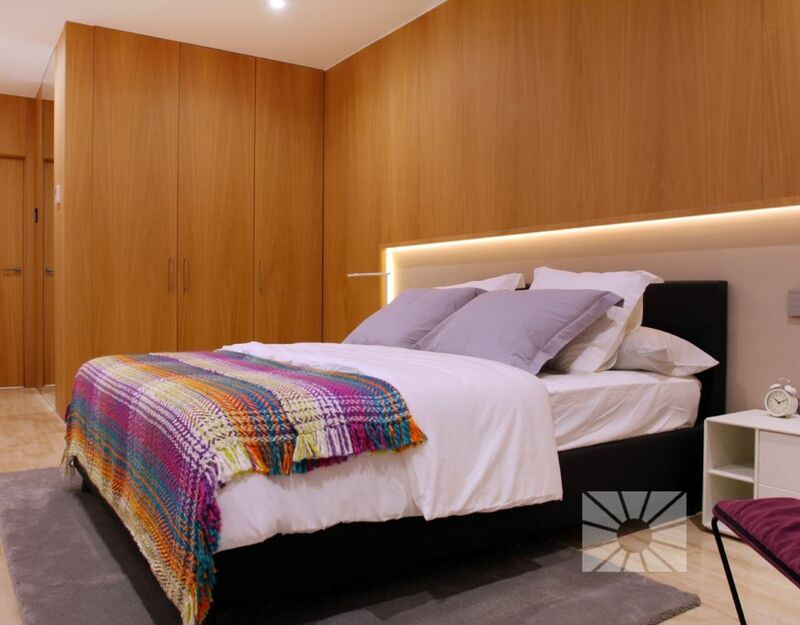 The home is complemented with a garage for several vehicles plus an annex storage room, all together totaling approximately 100sqm, accessed from the hall which is exclusively restricted to homeowners on that particular floor. Ocean Suites Altea is built on a plot of 13000sqm with perimeter fencing, restricted access control, vehicle checkpoint on entering and exiting, guest parking areas, extensive gardens with water features, gazebos and seating areas at the viewpoints, clubhouse, children's pool and a spectacular main pool with a water surface of 198sqm, with clear water that emulates a Caribbean beach: "An oasis of relaxation on your doorstep"
All this, coupled with its exceptional location, with direct access from the Mediterranean motorway AP7-64, next to the Don Cayo Golf Club, near the La Olla beach and the Campomanes Marina, classifies this development as a Grand Luxury residential estate and makes it one of the most exclusive developments in Altea throughout the whole of the North Costa Blanca.